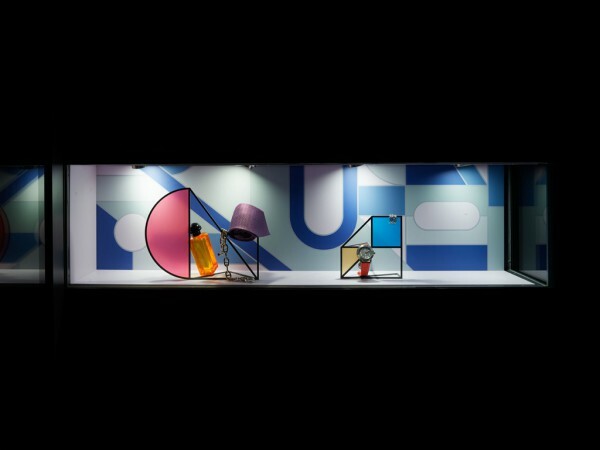 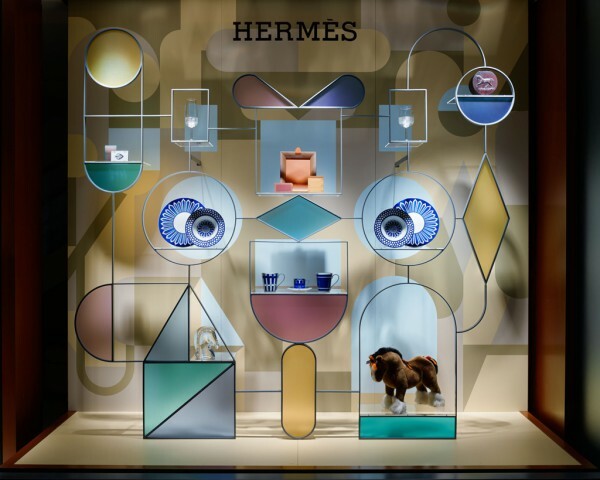 We created a window display for Hermès to be deployed at 10 locations nation-wide under the brand's theme for the year 2017: "Object Sense," where we sought to establish a new relationship between product and object. 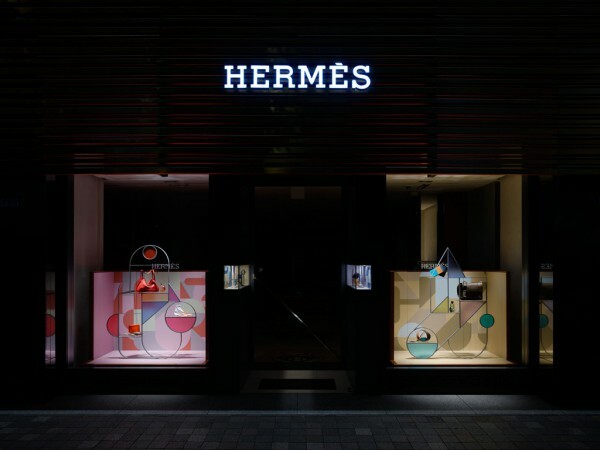 We proposed objects that outline the silhouettes of various types of goods carried by Hermès. 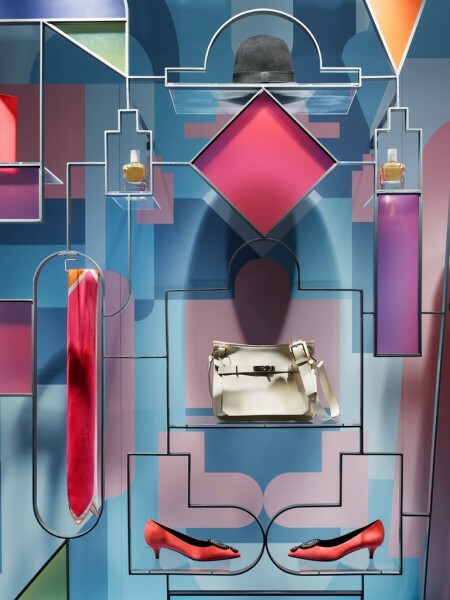 The result is a display similar to stained glass, where shelves prop up the concrete form of products inside abstract forms made using translucent color panels. 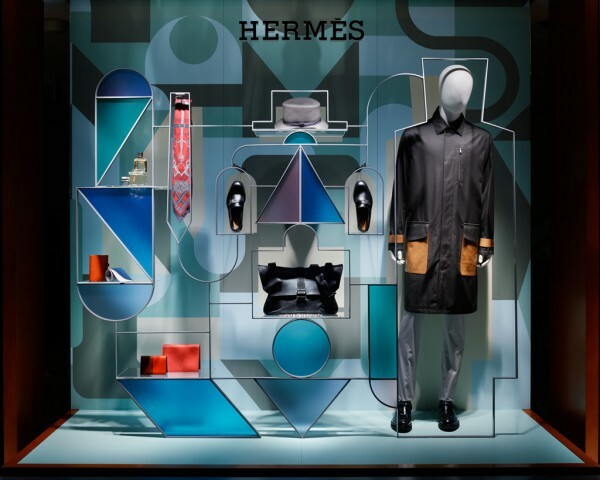 Geometric designs inspired by the patterns found in the frames are echoed in the background using a low saturation seasonal palette. 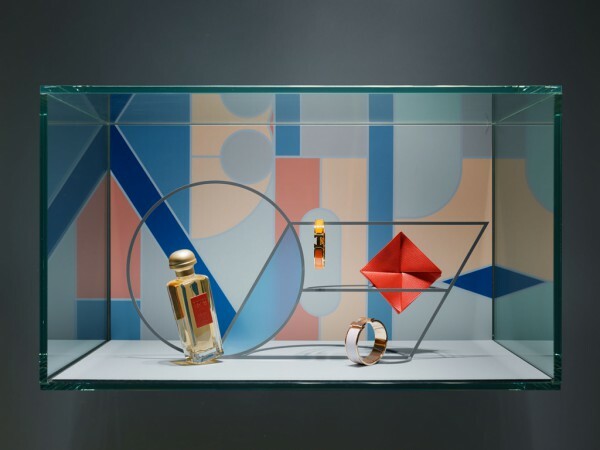 Nestled in the frame, products are given their own place and displayed. 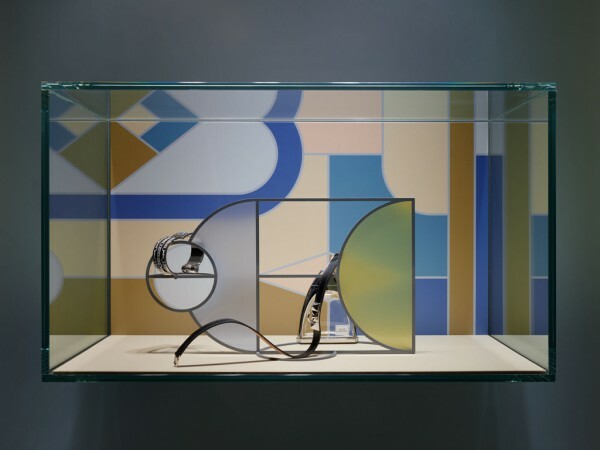 Stained glass is a technique used in church architecture to depict scenes from the Bible and whereby each glass pattern possesses narrative capabilities. 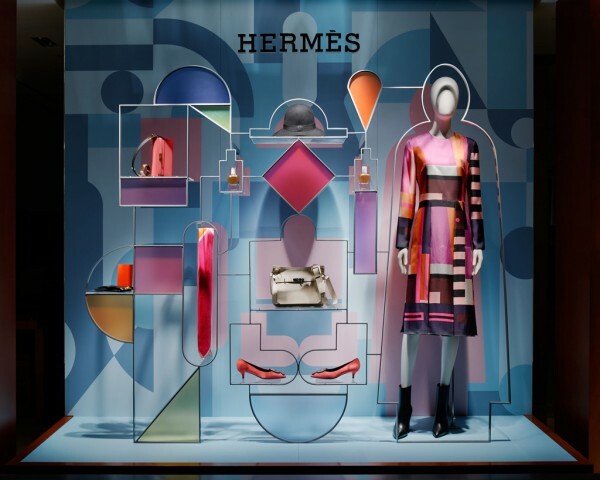 By focusing on this technique, we sought to create a set of window displays that will weave Hermès products into the story and the theme of "Object Sense," while drawing the clients into the outlook put forward by the brand's collection as they peer through each window.